What's cosier than spicy mulled juice in front of the fire after a long day? Maybe with a little once upon a time or even a Christmas film. This is all just wishful thinking on my part, it has been a long day and after I'm done writing this I'm going to collapse into bed because I'm wiped. 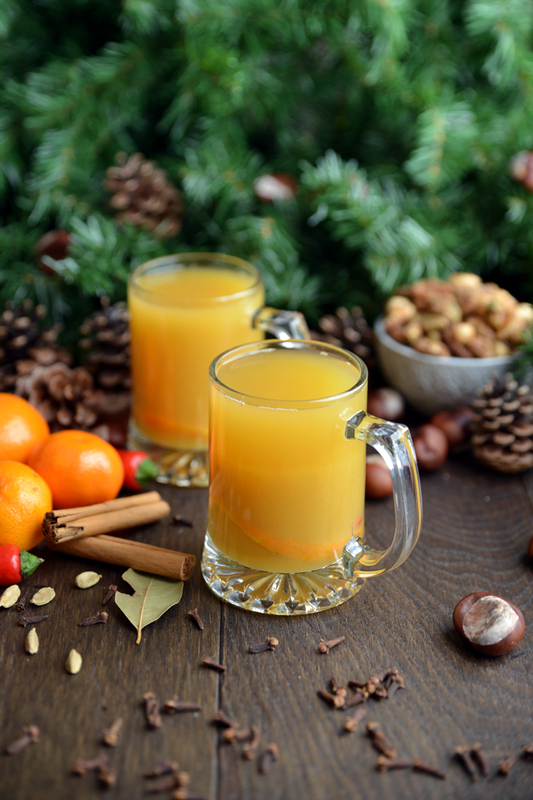 If you want to be warmed from the inside this winter then this is definitely the drink for you. I've been thinking about making mulled pineapple juice with chilli in for about a year now, the time has finally arrived and it is everything I imagined it would be. Pineapple juice has always been my favourite of the juices, you know when you have something sweet that's so delicious that your jaw does that clenching thing? yeah pineapple juice does that to me so why wouldn't you want your pineapple juice to taste like chrsitmas. 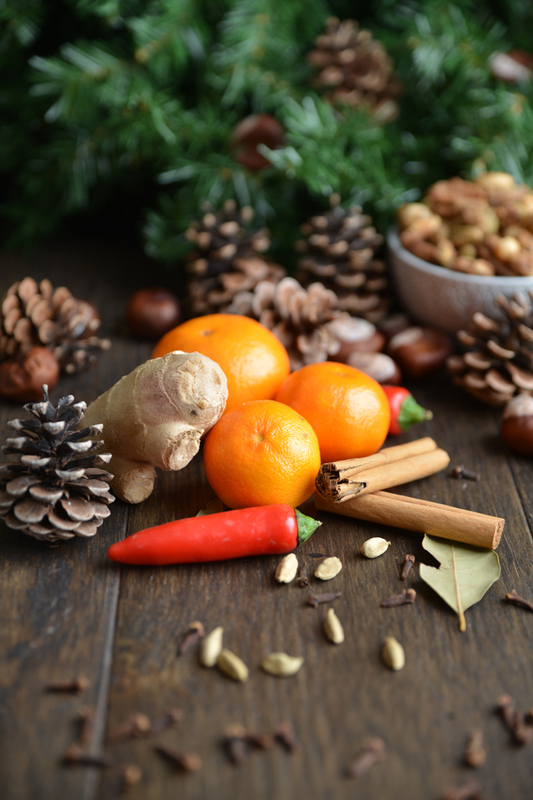 It has all the traditional flavours of mulled cider but the chilli gives it an extra kick on top of the spiciness of the ginger but isn't too hot that you start burning your tongue off (although if you like it like that, feel free to add way more chilli). 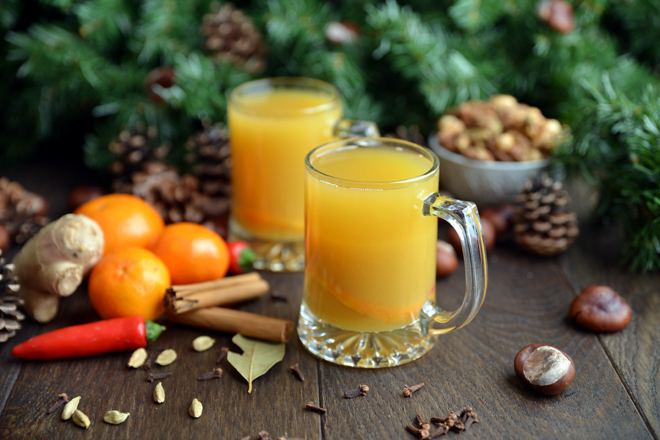 This is a great alternative to mulled cider and mulled wine, great for non drinkers but if you are a drinker you can add a shot of rum and I'm sure it'll warm you up even more, it also makes your house smell delicious which is just an added bonus. Make the tea and set aside for a minute. Add all the ingredients into a saucepan including the tea and teabag, bring to the boil and simmer gently for 5 minutes then serve. You can keep the leftovers in a jug in the fridge and re-heat in the microwave in a mug as you please. Should serve 3-4 people depending on serving size.